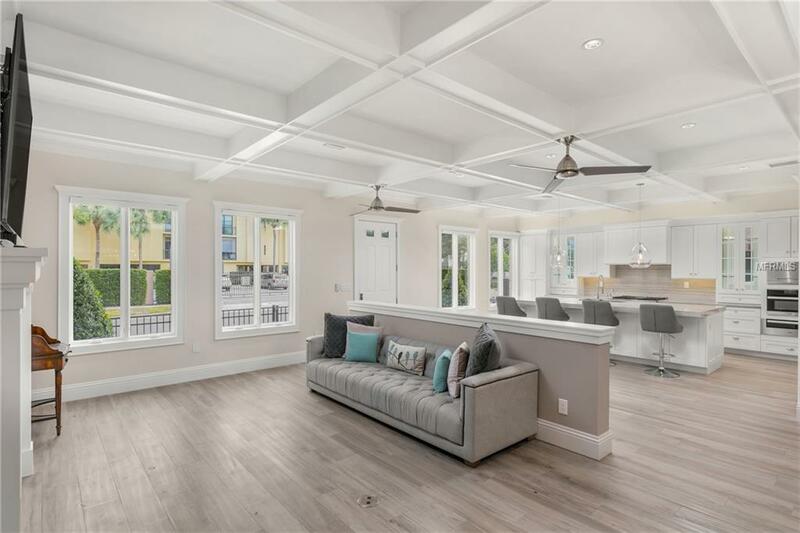 A fantastic opportunity for a discerning buyer to own Oak Tree House, the "Jewel in the Crown" of the Phil Kean designed Brownstones located in downtown Winter Park. Just a short stroll to Park Ave's fine dining and shopping, the Farmer's Market, Hannibal Square, the WP Village area and more. 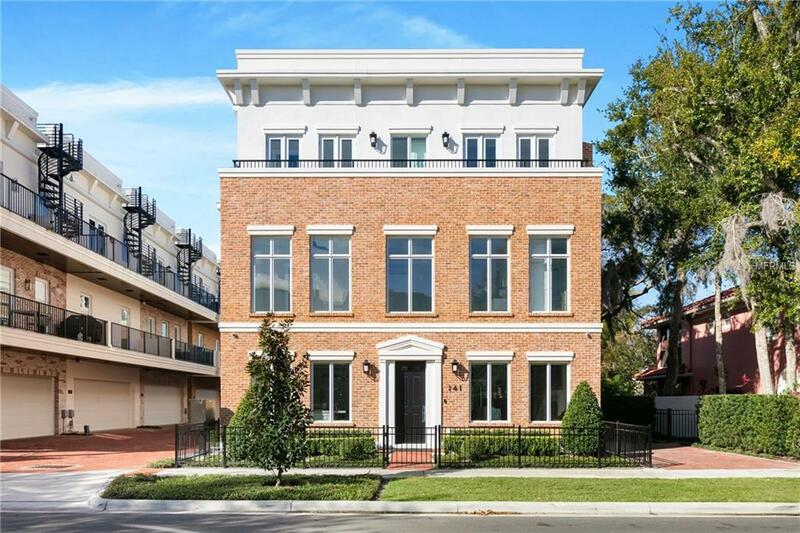 Oak Tree House is a 5 bed, 5.5 bath, 3-story residence with a private elevator to all floors, high-end cabinetry and flooring, designer lighting & plumbing fixtures & a stellar kitchen including top of the line Miele appliances . The main living area (kitchen, dining, living rooms & downstairs bathroom) is on the 1st floor with the 2nd floor offering a multitude of options with room for four separate guest suites (all with ensuite bathrooms) any of which could be used for other purposes, office, games room etc. The beautiful staircase or the elevator lead to the 3rd floor which houses the full floor Master Suite including a 22 x 21 roof-top terrace with a top of the line jacuzzi hot tub. 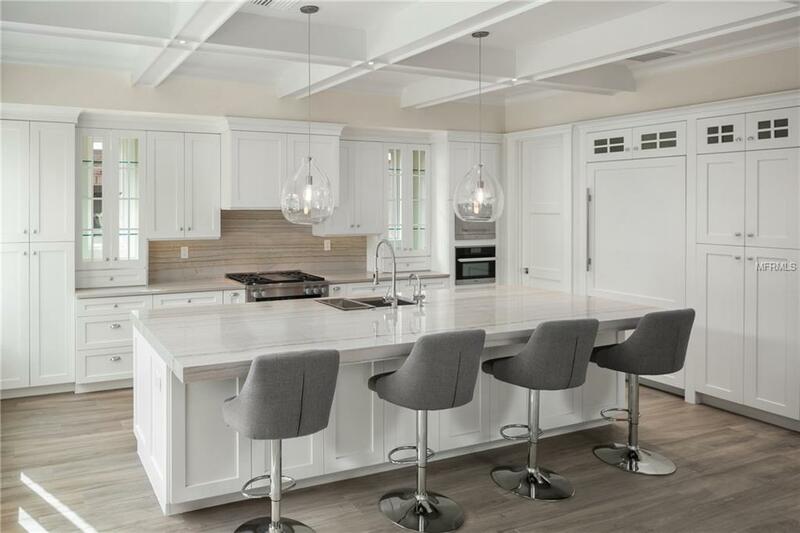 Other enhancements include a heated floor in the master bath, a coldstore pantry, internal vacuum system and Pelican water filtration system for all the water in the house. Enjoy green space at the front & side yards. 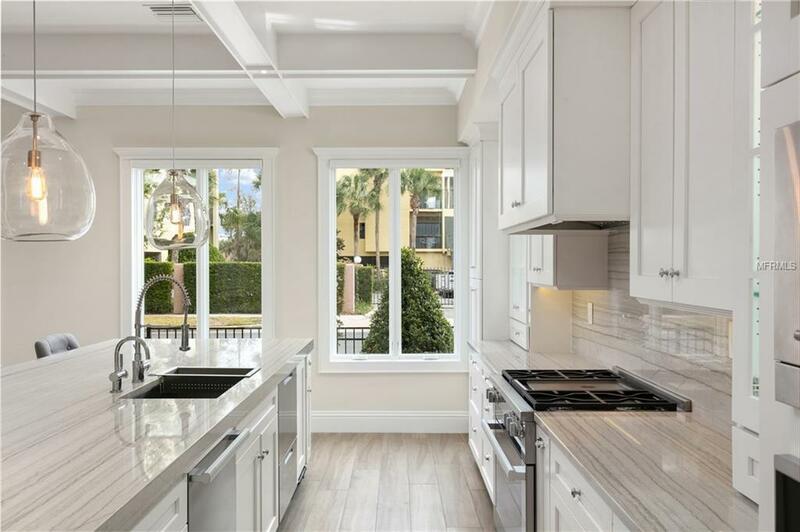 Perfect for the urbanistas who love to walk to everything, the global travelers who need to lock & leave & the commuters who need access to Downtown Orlando & I-4.